Before we discuss watch winders, allow us to begin with a brief introduction about the types of watches which may benefit from a winder. All watches require a source of energy to power the watch. Most prestigious watches are powered by a mechanical movement. The power source of a mechanical movement is its mainspring. The mainspring is a tightly coiled spring nestled in a miniature enclosure called the barrel. In order for the watch to work the mainspring needs to be wound. The mainspring must be manually wound, typically via the crown. The crown is attached to a stem which when turned winds the mainspring through a series of gears. Winding the crown, similar to a manual winding watch. Winding an automatic watch via the crown is an optional way to wind the mainspring. Motion: Automatic watches are also known as self-winding watches. For the most part an automatic movement contains similar components to a manual winding movement; the watch features a mainspring which needs to be wound to power the movement. However, instead of having to manually wind the watch, a weighted pendulum, called the rotor, is attached to the back of the movement which spins freely on its axis. The rotor is attached to the mainspring via a series of gears. 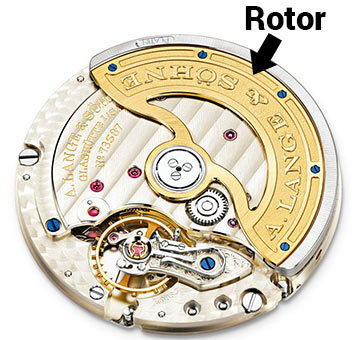 As the rotor spins, the gears wind the watch, hence the name self-winding movement. All mechanical movements, be it a manual or an automatic winding watch, will run only when the mainspring is wound. The duration the watch can run when fully wound is called the power reserve. The power reserve on each watch depends on factors such as the size of the mainspring, how much energy the watch requires to run and other related factors. A typical mechanical watch can run for +/- 40 hours when fully wound. There are plenty of watches that have longer power reserves such as Omega's Co-Axial Seamaster with a 60 hour power reserve thanks to its double barrel, the Breitling Caliber 01 with a 70 hour power reserve, the IWC Portuguese Automatic which has an impressive seven days power reserve, and the JLC Master Eight Days Perpetual which has an incredible eight day power reserve. Enough about the watches. Now let’s focus on the winders. 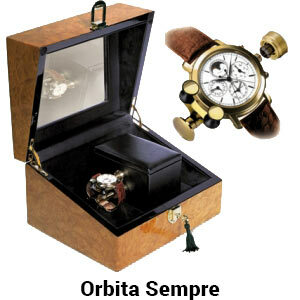 The purpose of a watch winder is to keep a mechanical watch wound while not worn. In this article we will discuss the merits of keeping your watch/es on a winder. It has been a subject of debate amongst collectors & watchmakers whether there is an actual mechanical benefit to keeping an automatic watch on a winder. Those pro, claim that the oils/lubricants of a movement are designed to stay fresh with friction, thus keeping the watch running will assure that the lubricants remain fresh & evenly distributed throughout the movement. This in turn will elongate the periods required between servicing. Those who discredit the benefits of a watch winder, argue that modern lubricants are synthetic & have a shelf life of 3-5 years, even if the watch has not been run for an extended period of time the lubricants will not breakdown or congeal. Furthermore, even if there is a small benefit for an mechanical watch to be in motion, winding or wearing the watch once every few weeks is plenty to keep the lubricants from breaking down or congealing. So, there is really no need for the watch to remain constantly running. What everyone does agree on, though, is that a winder has a practical benefit as an accessory. It is our opinion that if you own a single watch, buying a watch winder can be categorized as an accessory, not a necessity. If you own 2 to 3 non-complicated watches we would change the category from a simple accessory to a convenient accessory. However, once your collection grows beyond 2 to 3 watches or if you own a watch that has multiple calendar complications, the category would change from a convenient accessory to a necessary accessory for two reasons. Convenience: to save you time resetting multiple watches or multiple settings on your watch. Preventive: to avoid accidental damage to the movement while resetting a complicated watch incorrectly. Automatic Watches: The watch is fastened to a rotating winder head, mimicking a wrist’s movement. Most winders today feature a cushion to which the watch is strapped, the cushion then fits snugly into a motorized turning canister. There are other methods, such as the windmill design winder which features a C shaped metal tension spring to which the watch gets strapped. 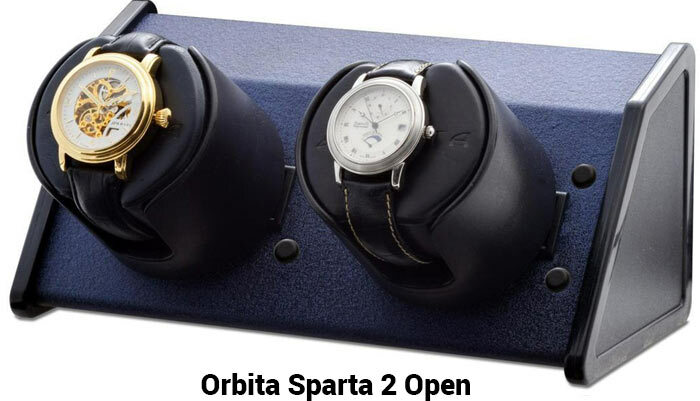 Manual Winding Watches: As far as we are aware the only quality winder for a manual winding watch would be the Sempre Winder by Orbita Corporation. The watch is mounted on a pod and a small spring-loaded claw gently clamps around the crown. The claw grips the crown, gently and slowly turning the crown &amp winding the watch. A microprocessor with a highly sensitive sensor feels the tension increasing as the mainspring tightens, and stopping as the watch approaches a fully wound state. From this point on the article will focus on keeping your automatic watches wound.